Click here to view the Market Outlook blog post. 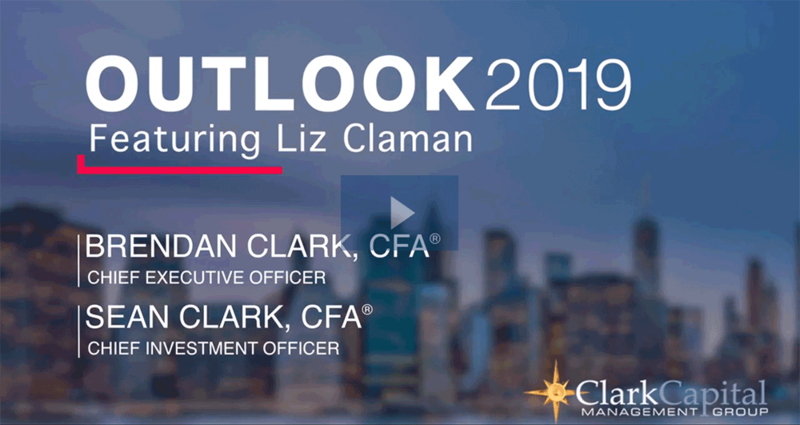 Sean Clark and Brendan Clark of Clark Capital Management Group discuss the major hurdles and opportunities that exist for investors in the coming year, against a backdrop of market volatility spurred by geopolitical uncertainties. Consider these six active strategies to help clients focus on long-term goals and objectives, and not volatility. As we continue to see elevated levels of capital market volatility, high quality stocks may outperform their lower quality peers. Navigator® High Dividend Equity seeks to provide current income while investing in high quality companies that we believe will have the ability to achieve stable growth into the future. International stocks are currently cheaper than U.S. securities and should benefit from relatively more accommodative central bank policy. Navigator® International ADR can help investors seeking global growth through disciplined, bottom-up stock selection. As interest rates rise, we favor credit exposure over interest rate exposure. Navigator® Taxable Fixed Income can help investors get the most out of a flattening yield curve. Individual bonds can be held to maturity, generating cash flow and returns. As interest rates change, we believe investors may benefit from a quantitative approach. Navigator® Fixed Income Total Return targets opportunities and manages risks in fixed income. As the equity markets ebb and flow through a cycle, individual market styles and capitalization within the economy perform differently. With the ability to allocate between small, mid, and large cap stocks, Navigator® U.S. Style Opportunity can allocate to the areas of the market we believe to be the most rewarding. Combining our Navigator® Fixed Income Total Return and Navigator® U.S. Style Opportunity strategies can help investors access a variety of growth opportunities while guarding against undue risk. The strategy is available in three equity/fixed income allocations: 75/25, 50/50, 25/75.